With almost 1 million acres of forest vanishing per week, and with the time that it takes for a tree to grow to maturity we have got to change our ways of constructing materials for the sake of our world. Choosing bamboo is a great sustainable step in doing so. It takes around 50 years for a tree to reach maturity, while some bamboo species can grow over 4 feet in 24 hours. Bamboo grows into maturity in about 3 to 7 years and when harvested correctly the bamboo will continue to grow and provide habitat for wildlife. Bamboo doesn’t only propose a fast and sustainable way of harvest, but also a breeze of fresh air. It gives up to 30% more oxygen than a hardwood forest of comparable size while helping to reduce carbon dioxide gases by sequesters up to 12 tons of carbon dioxide per hectare. Bamboo roots are fantastic to mitigate water pollution due to its high nitrogen consumption and prevent massive soil erosion thanks to its capacity to hold a greater quantity of water from a watershed. Bamboo is not only a great Eco-friendly alternative for hardwood floors, but is also one of the most, if not the most resistant hardwood material that you can find on the market. It’s no coincidence that the Chinese culture used to use it (and somewhat still do) as frame material for all their architectural projects. It’s hardwood flooring with the same sound and feel as traditional hardwoods, only much more durable and Eco-friendly. It is easy to clean, naturally termite resistant, and stands up to heavy traffic beautifully. Bamboo ranks higher on the Janka Hardness scale than most hardwoods, while being more moisture and stain resistant. With its Tongue & Groove or Floating Construction in either Engineered or Solid options, it can be installed over numerous types of sub-flooring, including below or above grade concrete. Our Bamboo floor manufacturers are selected for their strength, durability and their resistance to insects and moisture, and the material tends to be 10% to 50% less expensive than other hardwoods. There aren’t many inconveniences with bamboo floors that any other hardwood material wouldn’t share. As for all hardwood floors they tend to be cold to the foot and echo when walking. However, if you are looking for a traditional and beautiful looking hardwood material, bamboo floors are a strong candidate, but we also have a variety of Eco-friendly hardwoods, too. 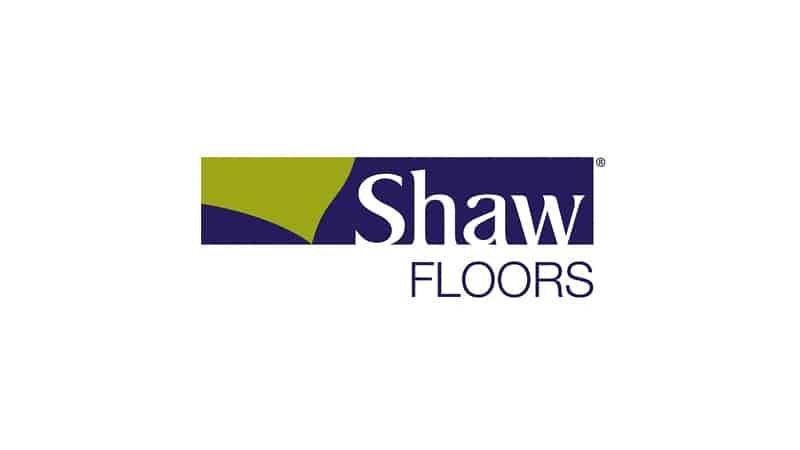 To see all our materials and more we suggest you visit to our showroom. You can also click on the links below to take a look at some of our suppliers. Eco Timber Sustainable Forestry Certified – FSC 100%, FSC Mixed, Plantation. Moso CE Marking & FSC (Forest Stewardship Council) Certified. Green Choice Flooring NWFA (National Wood Flooring Association Approved), Contains 100% Rapidly Renewable resources from managed plantations. Green Choice Flooring products contain no added Urea Formaldehyde and independent laboratory testing confirms no VOC’s. US Floors GreenGuard Children & Schools Certified with manufacturing facilities operating in the United States. Choosing a cork floor means you are contributing to the preservation of forest and habitat, as well as the reduction of greenhouse gases. This is because cork trees are never cut down and, if sustainably harvested, the tree doesn’t get any damage and provides a new harvest every 7 to 9 years. Cork Oak trees not only provide sustainable flooring, but can continue with their purpose on earth by preventing desertification and retaining an annual 4.8 million tons of CO2. 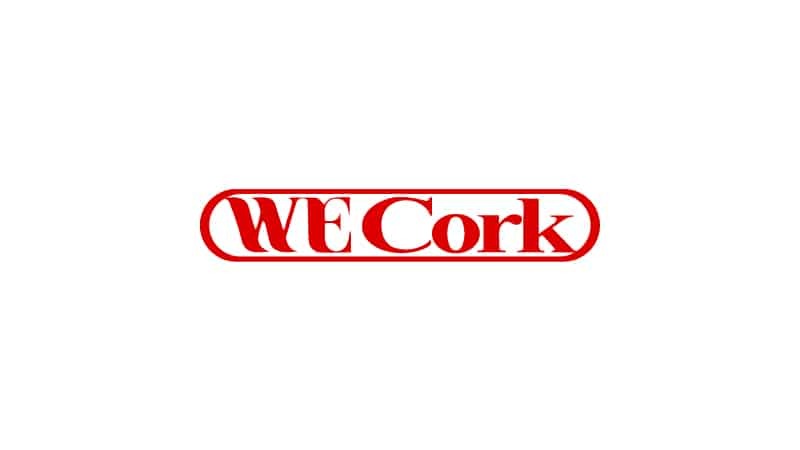 Cork has been used for thousands of years, its uses range from fishing tackle to space craft heat shields (amazing don’t you think so?). 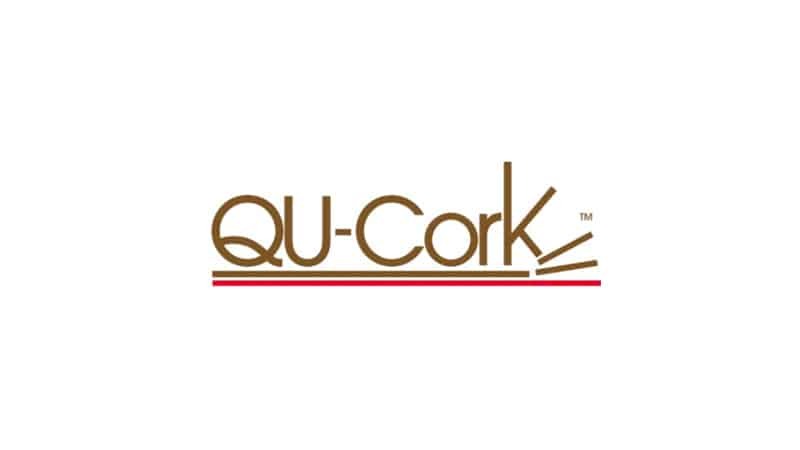 The majority of Cork Oak trees are grown in Portugal or Spain and the way of extracting the bark of the tree is an art that has been passed from generation to generation. 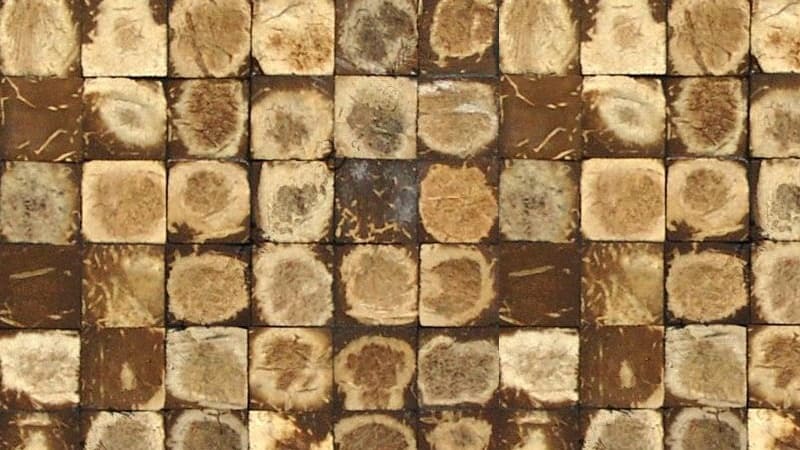 Cork offers a desirable alternative to more common household flooring with a myriad of protecting benefits: hypoallergenic, naturally anti-microbial, anti-bacterial, anti-static, resistant to flame, mold, mildew, and rot, repels common pests, and provides natural thermal insulation while possessing shock absorbing properties. Thanks to its insulation properties cork floors preserve energy, contribute to reducing heating bills, and most importantly add warmth and cushion underfoot. Not only does cork “protect” your house better but also makes it feel better. Thanks to air-filled cells, cork is incredibly comfortable and acts as shock absorber by limiting sound and vibration transmission. They help the cork withstands heavy traffic and weight, and provides relief to those that suffer from aching joints or back and bone issues. This is because the air cell recovers well from compression; very much like a wine cork stopper being pulled out of a bottle expands. 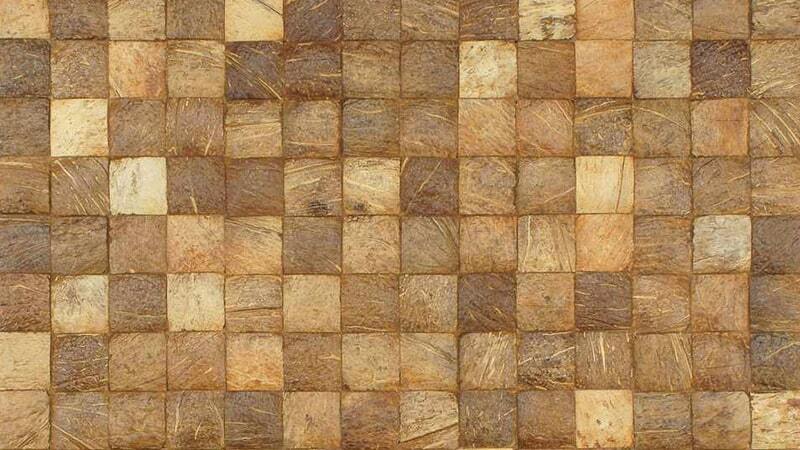 The only inconvenience of cork is that its surface is not as dense and durable as, for instance, bamboo. 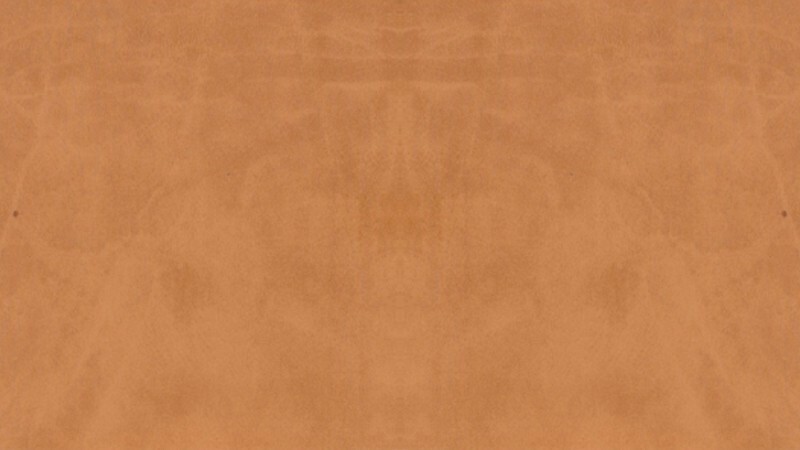 Cork floors are coated with a durable finish, typically 0-VOC polyurethane or ceramic, but the surface is more susceptible to damage than a dense hard surface like bamboo or hardwood. However, cork comes in a myriad of ways and some of our manufactures are aware of the durability issues. There are solid corks that can be refinished like hardwoods, or with durable top wear layers like a sheet of vinyl or Marmoleum. In other words, there is a cork for every household or commercial space! Eco Timber EzCork Wide, Ez Cork Narrow, EzCork Wood & EzCork Stone lines available. WE Cork In these days of increased concern for the environment, cork remains the only tree whose bark can regenerate itself after harvest, leaving the tree unharmed. 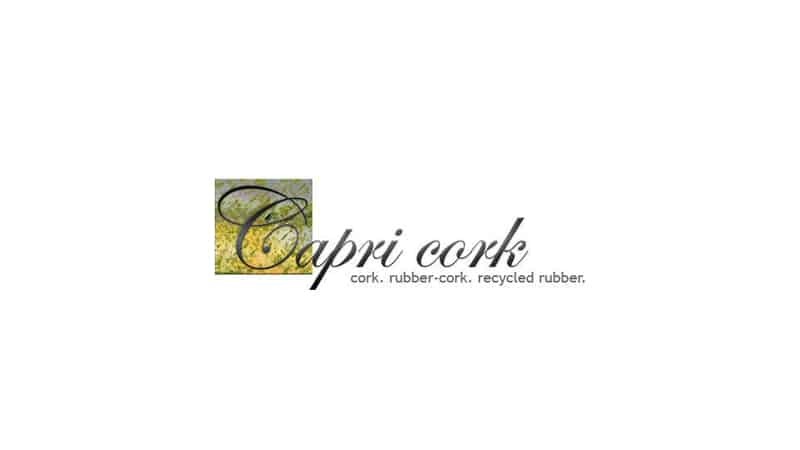 Capri Cork FloorScore® certified, Member of the USGBC, all products contribute to LEED credits. 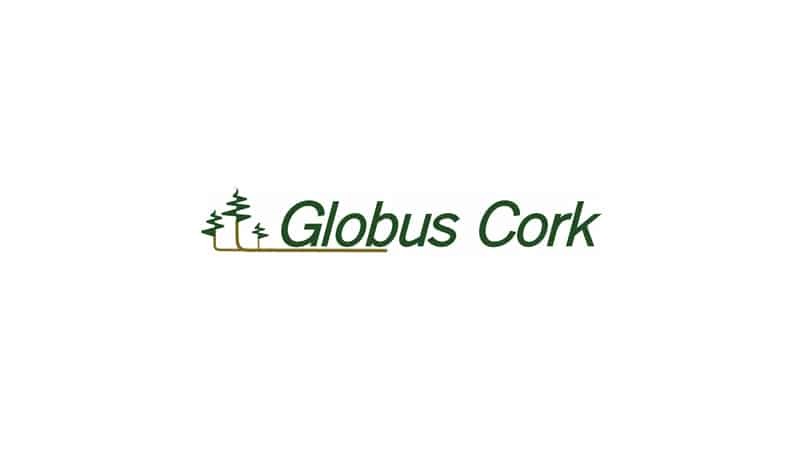 Globus Cork Green spec listed, US Green Building Council Member, EPA Green Power Partner. US Floors GreenGuard Children & Schools Certified with manufacturing facilities operating in the United States. 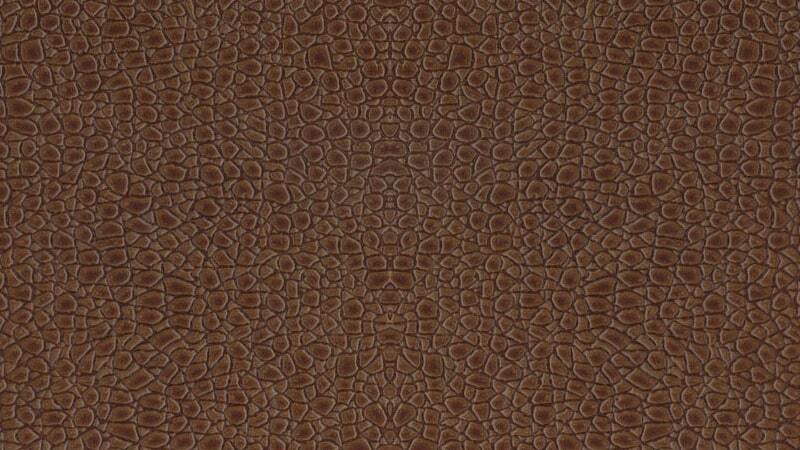 Natural Cork & Almada Cork lines. 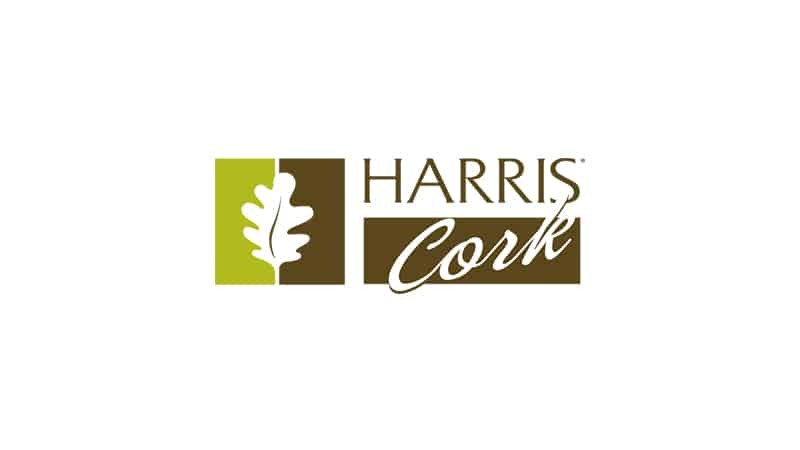 Harris Cork Natural Durable and impact resistant, hypo-allergenic , mold and mildew resistant, and anti-microbial / anti-bacterial. In the current market, most carpeting is not Eco-friendly at all. Most are made from petroleum base materials, a scare resource that is soon to be gone from our earth. The process in producing these materials is also extremely toxic and harmful to the environment, as well as to your indoor air quality. 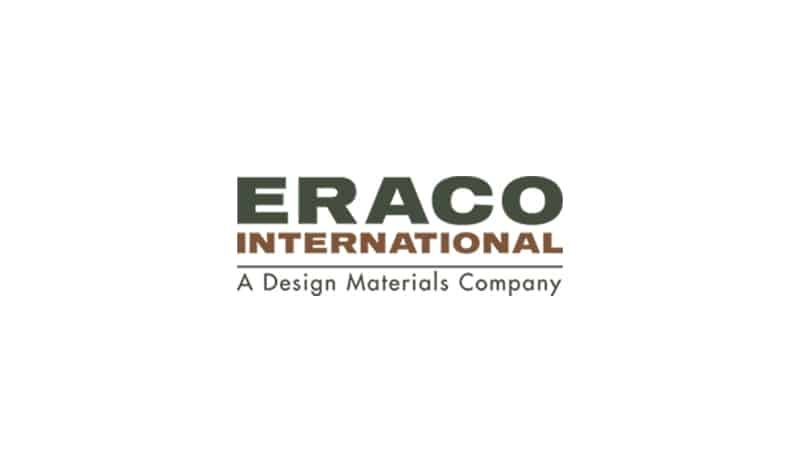 We at All Eco Design Center are very aware of that and decided to research throughout the US & abroad for companies that are longing for a change and a more sustainable way of doing business. Our suppliers not only propose consumers with an alternative for better products but also propose some of the most interesting and amazing materials that you could imagine. 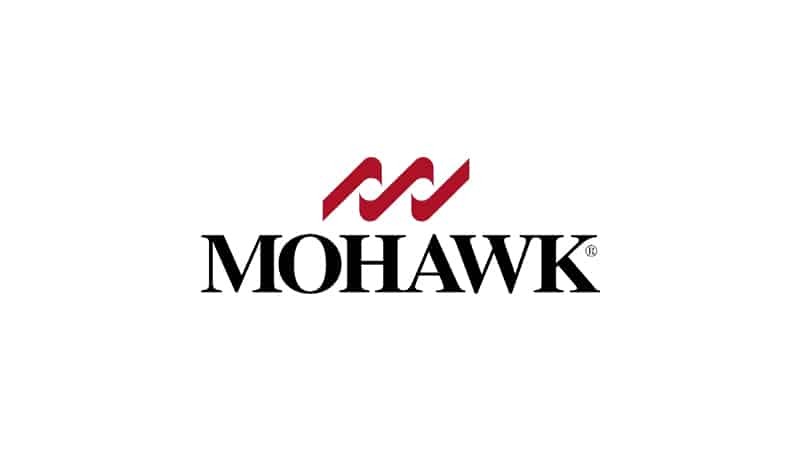 Mohawk has a carpet that is made out of corn (Yes, you heard it right!) or recycle content such as plastic bottles, which is extremely resilient to stains and easy to clean, without losing the softness that all carpets should have. Carpet has been around for thousands of years, but it was in the middle of last century that it became very popular with homeowners. People love carpet because of its softness and affordability. However, its great inconvenience lies in its ability to stain and capture allergens. 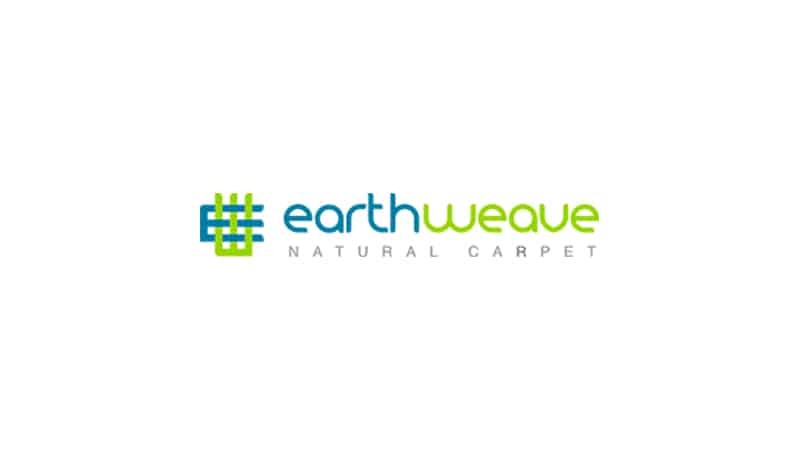 We at All Eco Design Center have heard the cries for help of many homeowners desiring carpet but fearing the inconveniences that natural or Eco-friendly carpets may bring. As shown in the above video, we have carpet that is so well made that any stain (coffee, wine, grass, or even bleach!) is gone by using only water. We also do propose many products that are 100% natural such as English sheep wool, which is extremely soft, or if you are looking for a more unique and different look; plant base carpets/rugs are for you. These carpets/rugs are made out of material such as jute or sea grass. This makes them look and feel unique and in a really Eco-friendly manner. 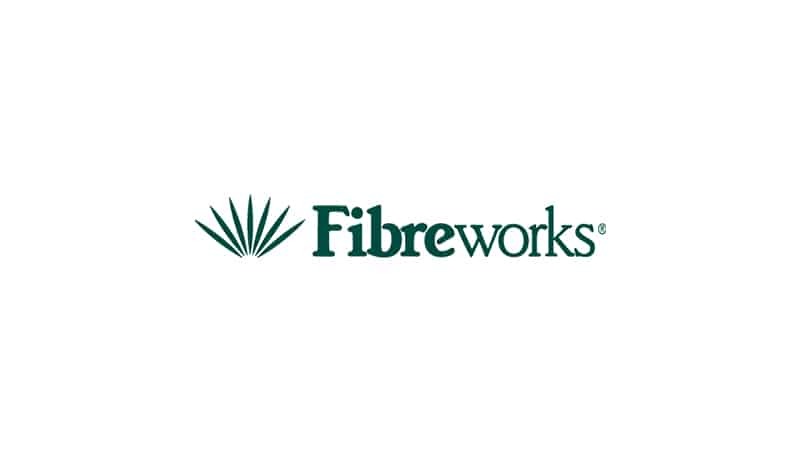 Fibreworks Grown by, sustained in, and biodegrades with nature. Offering the sisal, jute, coir, seagrass and wool lines. 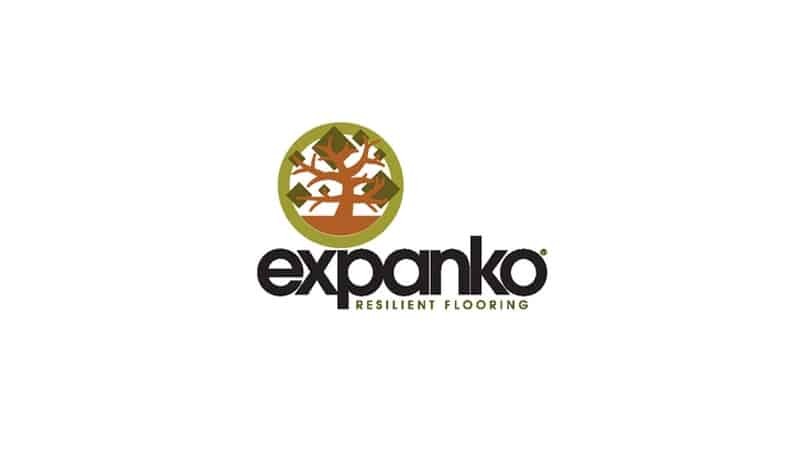 How is an Engineered Floor Eco-Friendly? What makes an engineered floor different from its solid counterpart it’s in the way its build. A solid floor is the same product all the way through from top to bottom while an engineered floor is built with different layers. These layers are; the top one which is the actual wood that you chose, then a second called “the core” which most of the time it’s made out of plywood, and finally there is the third at the bottom of the floor for protection and insulation purposes. So, what makes an engineered floor Eco-Friendly? Believe it or not there are many things that make an engineered floor more sustainable than its solid counterpart. First, the top layer which is the genuine exotic wood is only 1/8” thick instead of going all the way through as for a solid floor, allowing in making more floor out of one tree. Second, the core layer and bottom layer are usually made out of sustainable and easy to renew materials such as plywood. Finally, the wood veneers that are used for the making of the plywood are generally sliced and not saw, so there is no sawdust and this means that no material is wasted. When it comes to the choice of solid over engineered and which one to choose, the best is to look at what your space really needs. Engineered floors can be more expensive than their solid counterpart but because of their design, engineered floors offer more stability and are good against humidity and moisture. Engineered floors are the only hardwood floors that can be installed over a concrete surface and are always recommended for below grade spaces, such as basements. On the other hand, solid floors can offer a longer life span because they can be sanded multiple times while engineered floors can be sanded a couple of times to never. So, the decision on which floor is the best for you comes down to your space and to what is best for it. 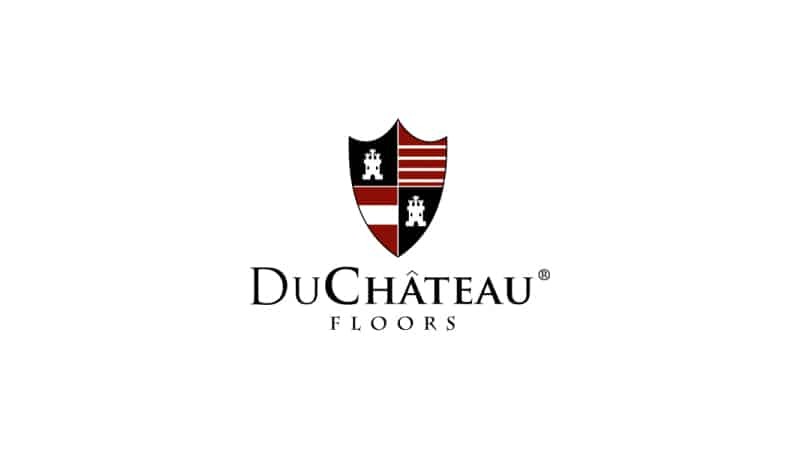 DuChateau Engineered FSC, C.A.R.B., US Green Building Council, Lacey Act, & Global Releaf Certified Hard Wood Flooring. 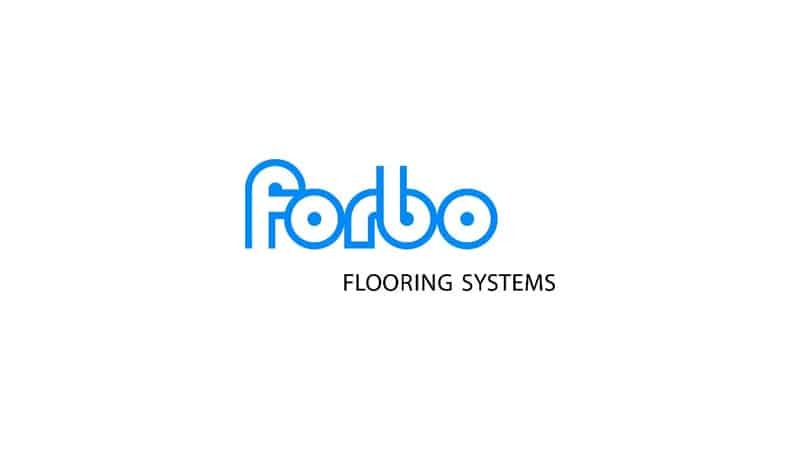 Forbo Flooring Marmoleum Floating and Glue Down Flooring: Made from natural, renewable materials including jute, limestone, and linseed oil. 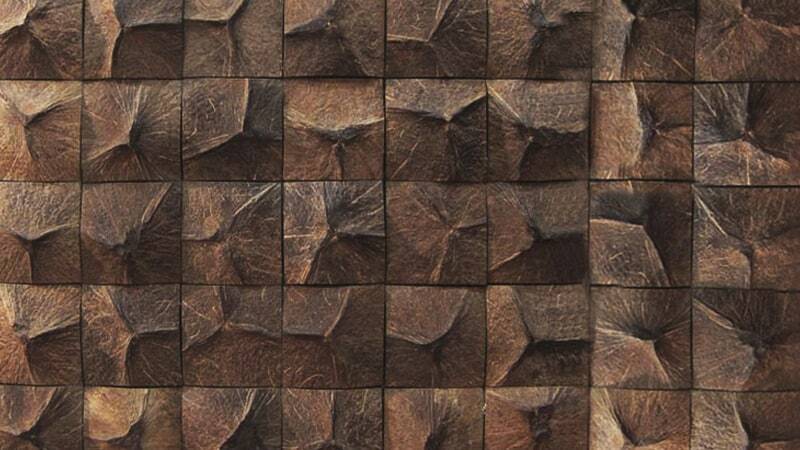 Tile is made out of a hard-wearing material, from natural stone to ceramic, to metal. 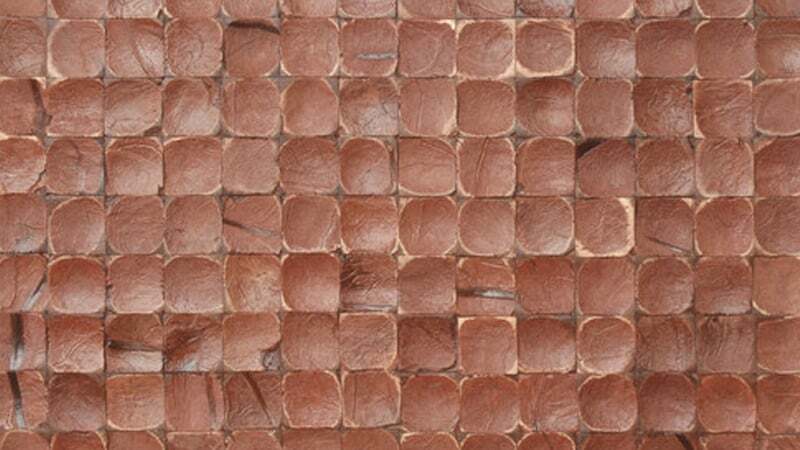 Tiles are used for a wide range of purposes, such as; floors, walls, tabletops, etc. Tiles for home owners mean wall and floor covering. However, what does make tile Eco-friendly? Tile manufacturing process date as early as 8000BC, since then the production of ceramic tile has grown exponentially. This material is no biodegradable (reason why archeologists continue founding pieces of ancient ceramic) and our landfills are overwhelmed with it. So, by reclaiming and making a new tile out of the old tile we help considerably in the cleaning of our landfills. One ceramic that is common and a bit valuable for reclaiming proposes is porcelain, but because of the expensiveness of the recycling process not all manufacturers use recycling content in their products. However, all of the tiles that you’ll find at our showroom are sustainable in one way or another. We work with companies that do their best in their manufacturing processes (fabrication, transportation and distribution) in order to bring an Eco-conscious product to you. Tiles have always been a favorite for bathrooms and kitchens. The main reason is that tiles are waterproof and easy to clean; only warm water can make your tile shine again. However, tiles are not limited only to kitchens and bathrooms. Their hypoallergenic qualities (inhospitable to dust mites, mold, germs, and bacteria), fade resistance, frost resistance, durability, and enhanced traction makes it a perfect choice for outdoors projects such as patios or balconies. 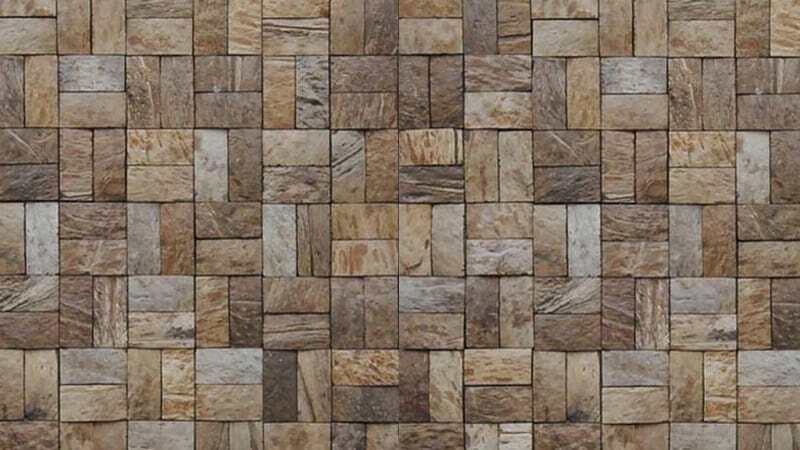 Tiles also have a low probability of chipping or breaking because of its resistance to impact and abrasion; nevertheless, if any damage occurs single tiles can be easily replaced. Tiles come in so many types of materials from natural stone to porcelain, that they have their unique pros and cons, such as; wear or stain issues (respectively). 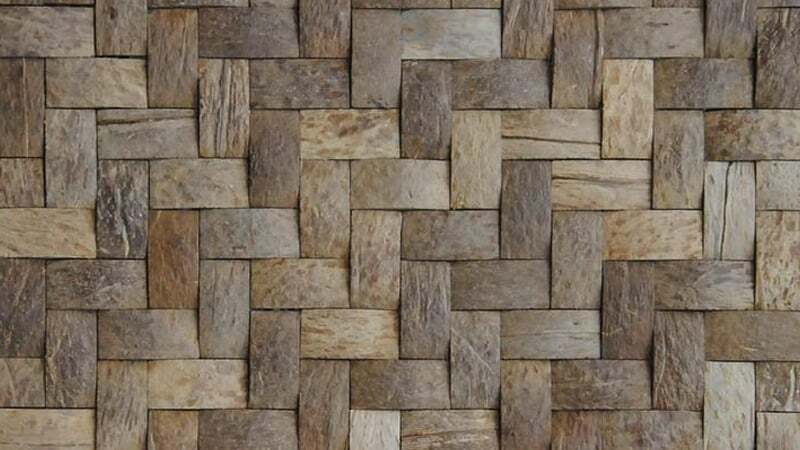 However, the technological advance of our tiles manufacturers is so great that some tile products are made of one material but with the appearance of another; an example is porcelain tile with the look and feel of natural stone. Tiles are also cold to the touch and don’t offer the best of feelings for a barefoot; however, we gladly install heat underlayment underneath the tile, which makes it extremely agreeable and comfortable to the touch and can also help to the warming of your home. 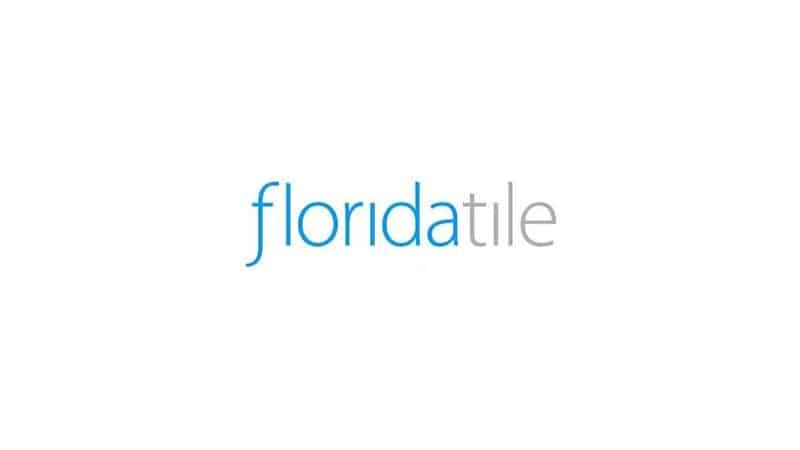 Florida Tile Our goal is to recognize the needs of the market and offer the best products and value for every category and every channel. 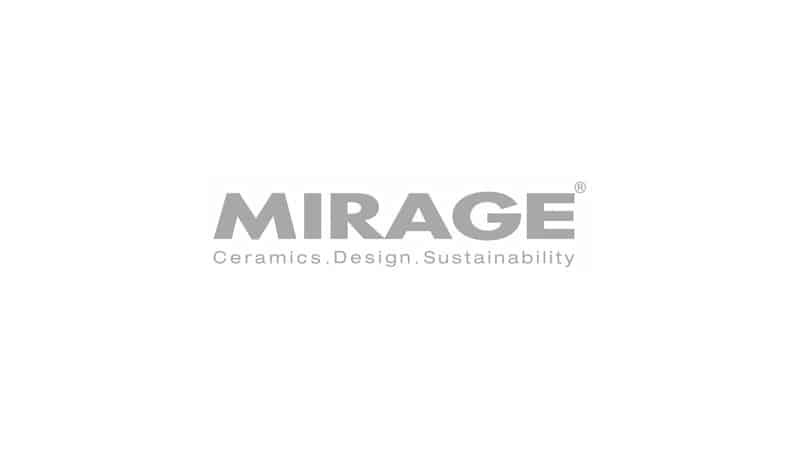 Mirage has channeled further investments for product research and development with the aim of complying whit European and international environmental parameters. 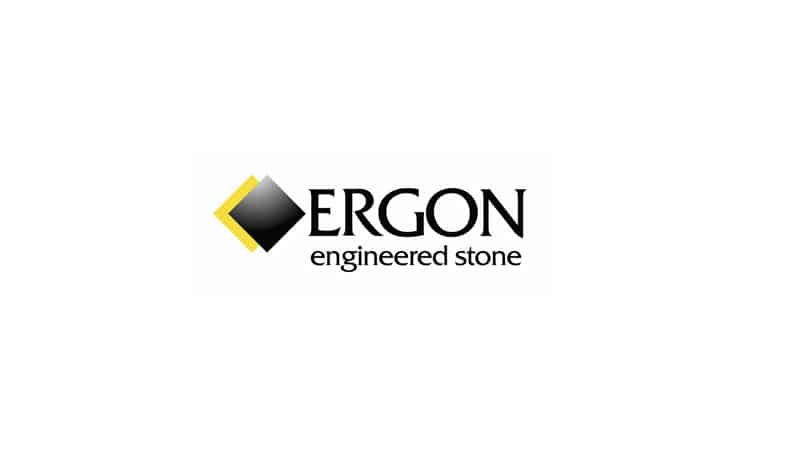 Ergon was first created in 1991 as the Emilceramica Group’s technical catalogue, introducing solid porcelain stoneware into the Group’s product range. 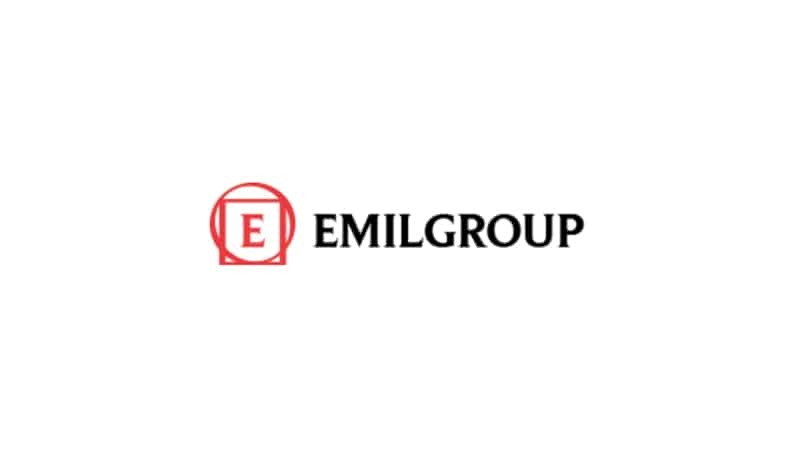 Emil Group Since 1961 the Emil Ceramica Group has succeeded in keeping abreast of the times, updating production technologies and investing in people to maintain its position as a leader in the ceramics sector. 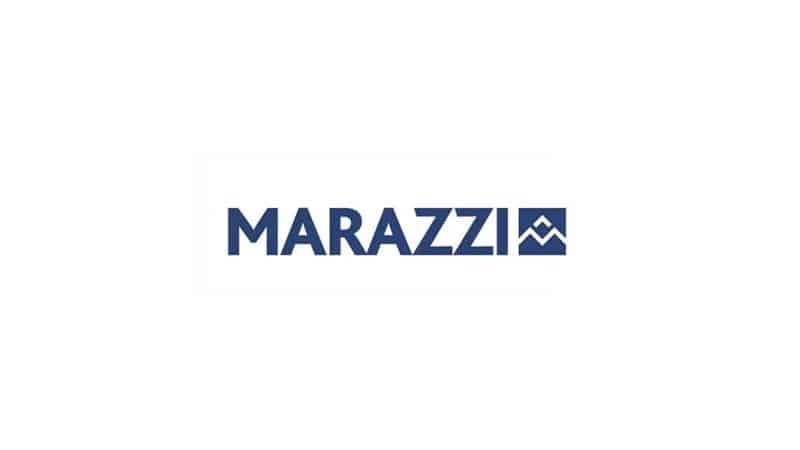 Marazzi USA Manufacture and sourcing of a vast array of products – porcelains, glazed ceramics, glass mosaics, metallics – brings a total tile package that addresses aesthetic and performance requirements of designers, architects and homeowners. 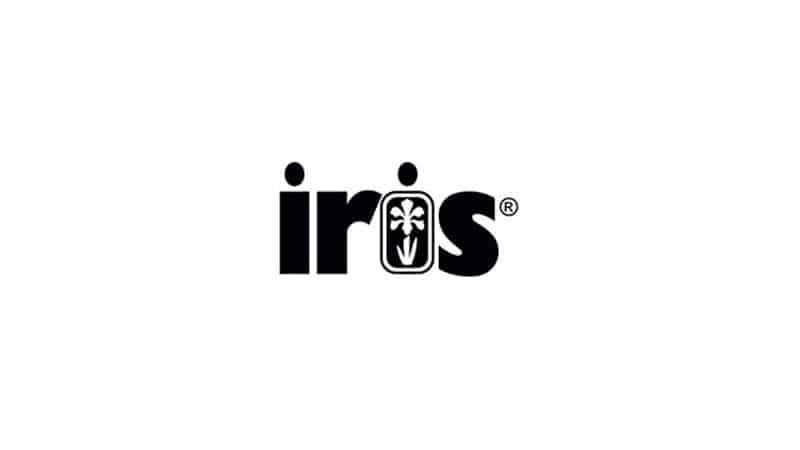 Iris-group leads the flooring industry in innovative design and technology research around the globe. Cabinets are the primary element in your kitchen, bath or any other room in your home, and primordial in the creation of a harmonious space. However, what makes our cabinets Eco-Friendly? Cabinetry plays such a crucial part in your remodeling and in your life that we make you the promise that you’ll only find conscious minded cabinets in our showroom. We are very selective with our cabinets and require from our manufacturers to comply with two important rules: to have low to zero off gassing emissions and to have a responsible resource management. Our main concern is the health of our customers, this is why we require from all of our products to have low to zero off gassing emissions such as VOC’s and formaldehyde. The reason is that these emissions are extremely harmful and can lead to lung disease and cancer. Our cabinets are oil and waterborne finished, and their glues are completely natural and contain zero to extremely low VOC’s. We promise you that with our cabinets you and your love ones can breathe happy! We also strive for a better tomorrow and a better world. All of our cabinets come from responsible manage forest and their manufacturing processes (production, transportation, distribution) are as sustainable as possible. We make the promise that in buying our cabinetry you’ll be contributing for a better world. We don’t take the word of our suppliers for granted, therefore, all the cabinets that come out from the mills have strict third party certifications that support their statements. Putting it simply, cabinets are essential for your space. However, with the myriad of possibilities at your disposal, searching for the one that is right for you can be a difficult task. We love to make this process not only easy but pleasant to our customers and we’ll love to help you too! 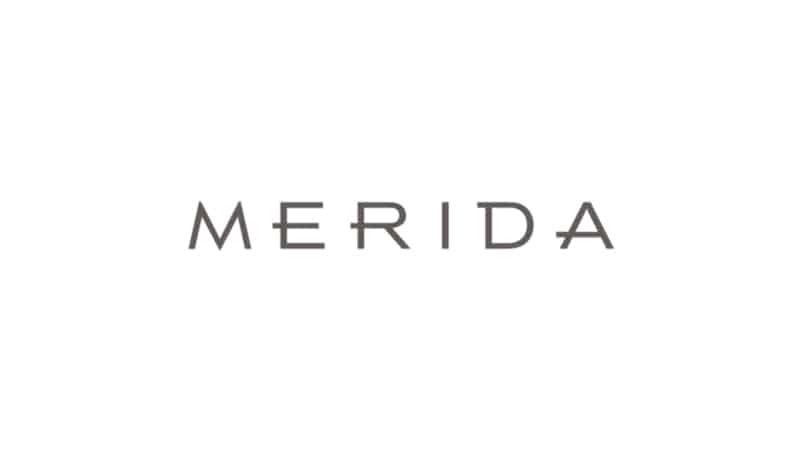 We know how to marry sustainability with style and we proudly propose over a 100 different door styles and colors for frame, frameless and inset cabinetry. Our cabinets can be custom or semi-custom, thus the box structure and organizational options are endless and will satisfied any of your needs; roll out shelves, spice drawer tray, pots and pans pull out, wire tray pull out, blind base storage, chopping block pull out, and many more. 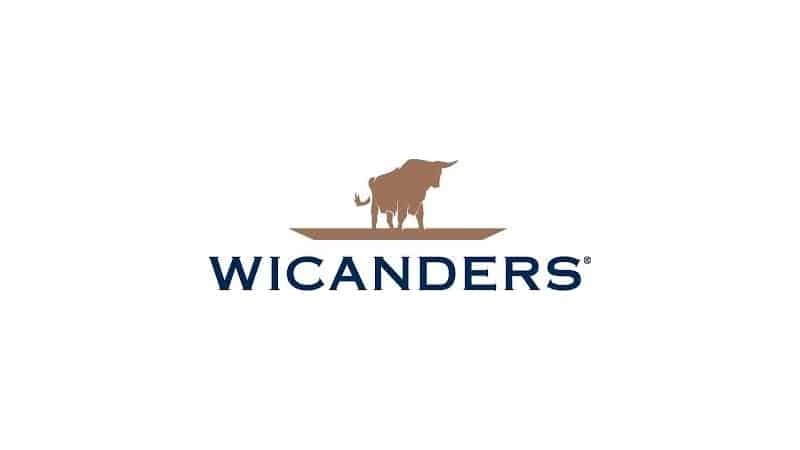 We guarantee that in our showroom you’ll find your dream cabinetry and to make things even better all of our cabinets are American made and crafted locally. 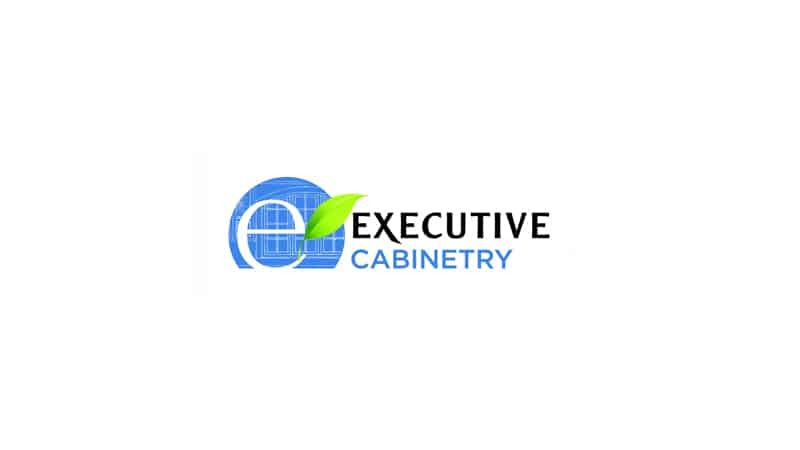 Executive Cabinetry came into being in 2010 through the acquisition of Executive Kitchens, a well-established cabinetry manufacturing facility using solvent-based finishes to all waterborne finishes. 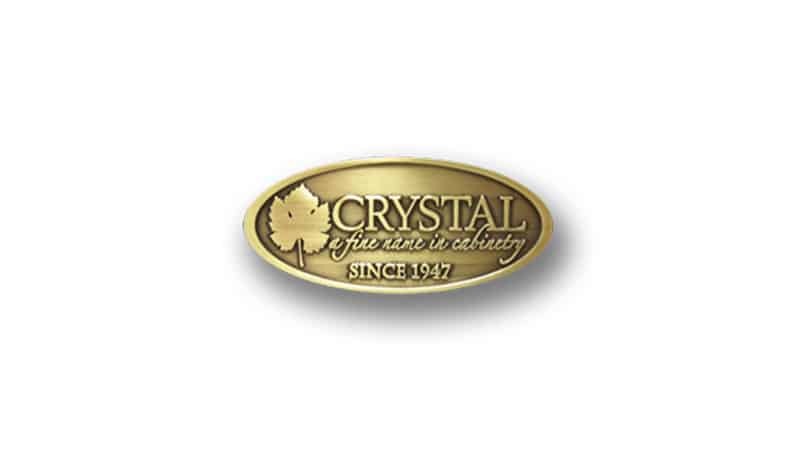 Crystal Cabinet Works is owned and operated by the Hammer family, with Jeff Hammer, along with his daughters, continuing the tradition of fine custom cabinet making. Every cabinet is still built one at a time, just for you. 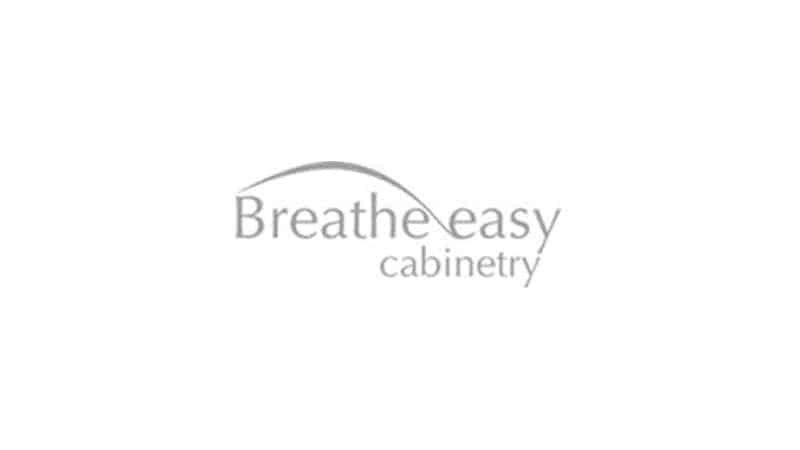 Breathe Easy® Cabinets are constructed of non-toxic, environmentally friendly products, including sustainably harvested wood, formaldehyde-free plywood boxes and non-toxic glues and finishes. How is a Countertop Eco-Friendly? Countertops are made out of many different materials from natural stone to glass to engineered stone, their attributes change enormously from one material to the other and so deciding which one is good for you can be a difficult task. First of all, what makes our countertops Eco-Friendly? The most important factor that makes our countertops sustainable is their manufacturing processes. Most of our countertops manufacturers follow strict regulations as well as third parties certifications in order to bring you a clean and sustainable product. We offer a myriad of countertop materials that are not only unique, but very Eco-Friendly. We have countertops made from natural stone or engineer stone, we have 100% recycle glass countertops from top to bottom or 100% recycle chip glass that are bind with concrete or resin. 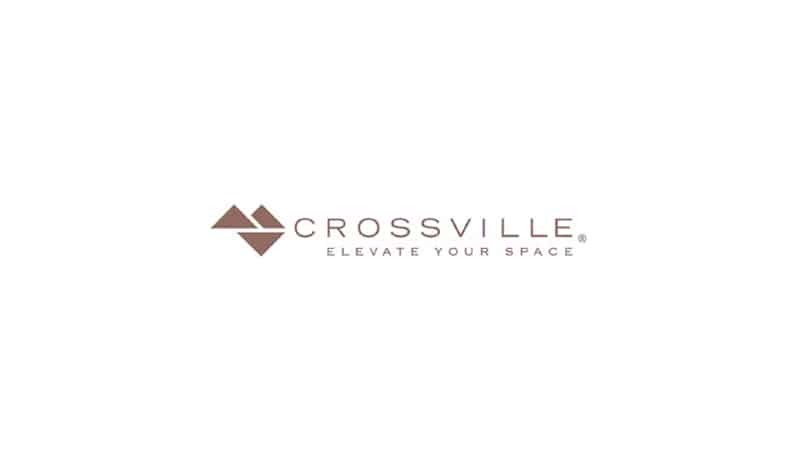 We carry countertops made out of 100% recycle paper (post-consumer and pre-consumer) bind with a resin, as well as; bamboo, cork and other unique countertop materials for your space. Countertops are essential for your kitchen, bathroom or commercial work surface. But with the myriad of different countertops’ products it might be difficult to find the counter top that is right for you. Our showroom has a large selection of countertops; however, we tend to lead our customers to an engineer surface, such as quartz because of its great advantages. The price might be slightly higher than a natural stone, but the maintenance free and great quality will save you thousands on the long run. Why do we prefer engineered stone? It is more resistant, non-porous, resilient to the grow of mold, mildew and bacteria, and there is no need for periodic sealing. Just keep your hot pots/pans from direct contact with the material and it would last you for a very, very long time. Another material that is increasing in popularity is recycled glass countertops. This material is unique and comes in two different forms. The first one is called terrazzo which is made out of recycle glass chips bind with cement or resin; we tend to lead our customer for the resin binding because it is more ecological. The second is called bio glass and it’s 100% recycle glass, it’s more resistant that its terrazzo counterpart but also more expensive; however, when it’s display with LED lighting there is nothing that can compare to it, it’s magical! Keep in mind that we also carry bamboo, cork, recycle paper and many other countertop options in our showroom that would fit perfectly with your current or future project, or complement perfectly with what you already have. Cambria recycles 100% of the water used in its processes through a series of advanced settling and filtering techniques. All diamond-metal tooling is retooled and re-used. Scrap material is collected and used as road base material on local construction projects. 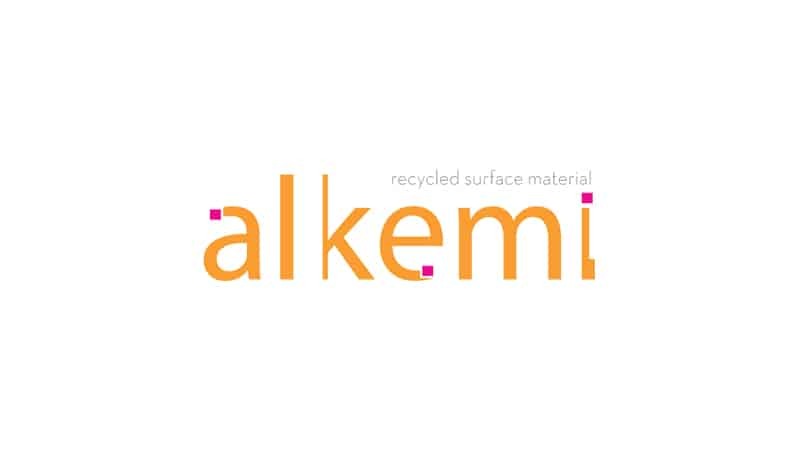 Alkemi acrylic recycled solid surface material is certified by Scientific Certification Systems (SCS), a leading organization in the evaluation of sustainable materials. This certification confirms that Alkemi acrylic contains 91% post-industrial scrap. IceStone is made from three core ingredients: 100% recycled glass, portland cement, and pigment. This simple recipe makes IceStone® the world’s safest, most sustainable durable surface. 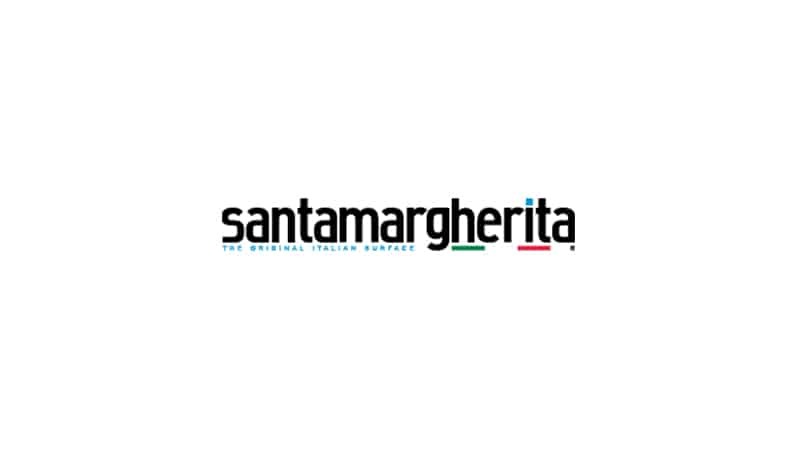 Santa Margherita is internationally certified to ensure maximum safety and protection. Such certificates offer consumers the assurance that Santa Margherita is a safe, top-quality material. Our certificates offer a 100% guarantee. 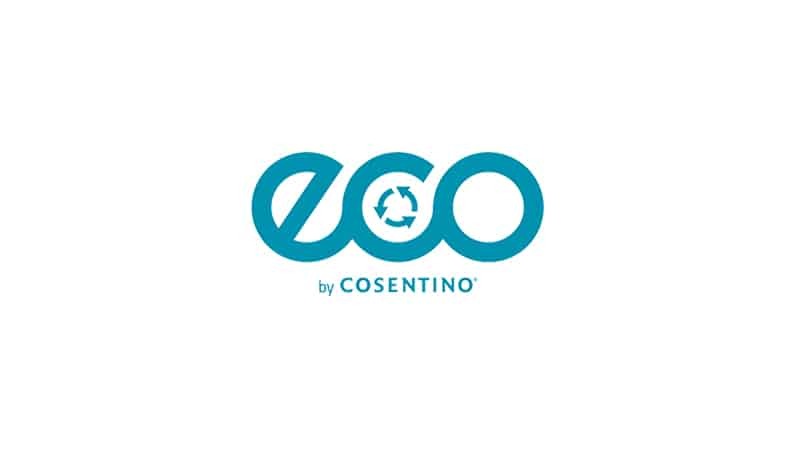 ECO by Cosentino® was created by a comprehensive research and development project carried out by the multinational Spanish company which has reinvested a major part of its annual income in promoting new technologies to create this state-of-the-art product. 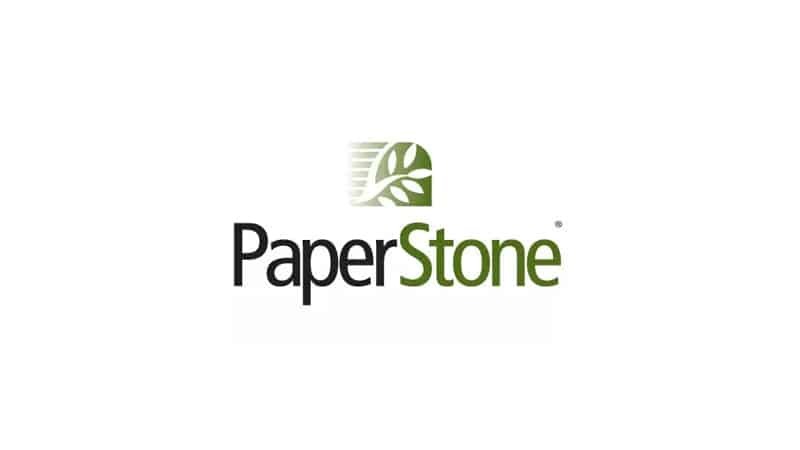 PaperStone® is made from 100% post-consumer recycled paper that has been saturated with our proprietary PetroFree™ phenolic resins and selected natural pigments on our treater lines. 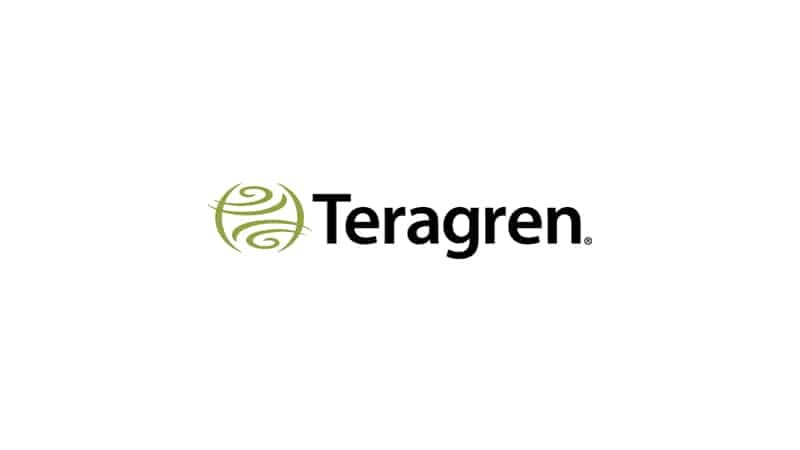 Teragren products are backed by substantial warranties. Teragren bamboo flooring carries a lifetime structural warranty and a 25-year residential/10-year heavy-use commercial finish warranty. 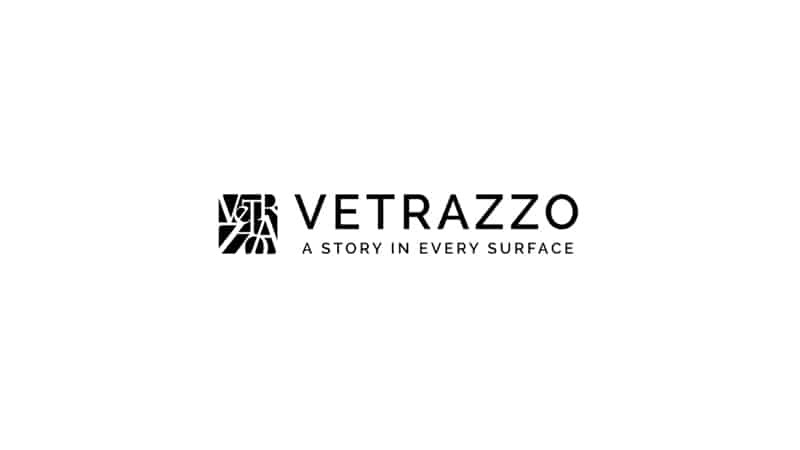 Vetrazzo mitigates the inherent impact of manufacturing a product by measuring that impact and adjusting their process at every step in order to reduce our environmental impact. 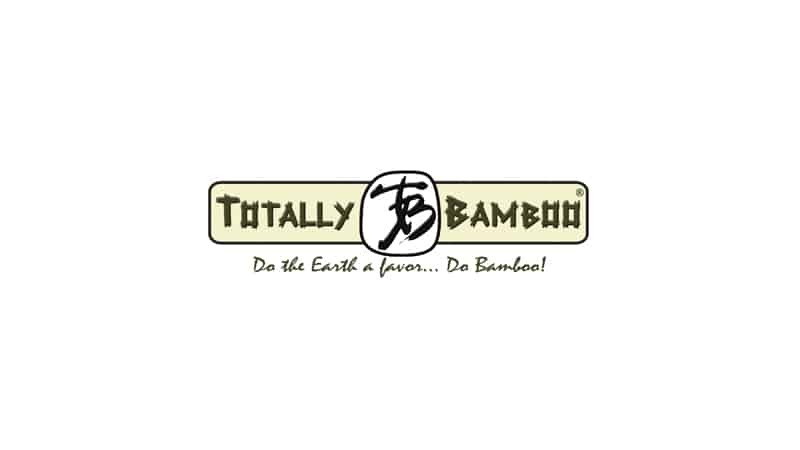 Totally Bamboo – Bamboo is a 100% renewable resource and is harder and denser than most hard woods. Bamboo does not need re-planting. Most hardwood have a 30 to 60 year growth cycle. 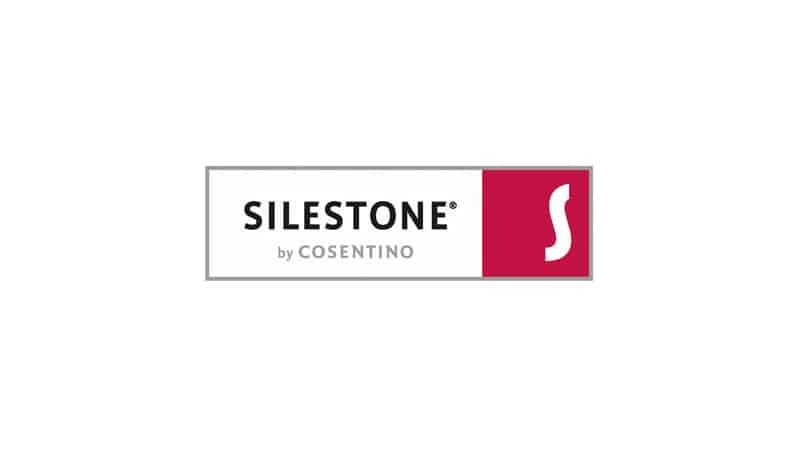 Silestone is internationally certified to ensure maximum safety and protection. Such certificates offer consumers the assurance that Silestone is a safe, top-quality material. Their certificates offer a 100% guarantee. 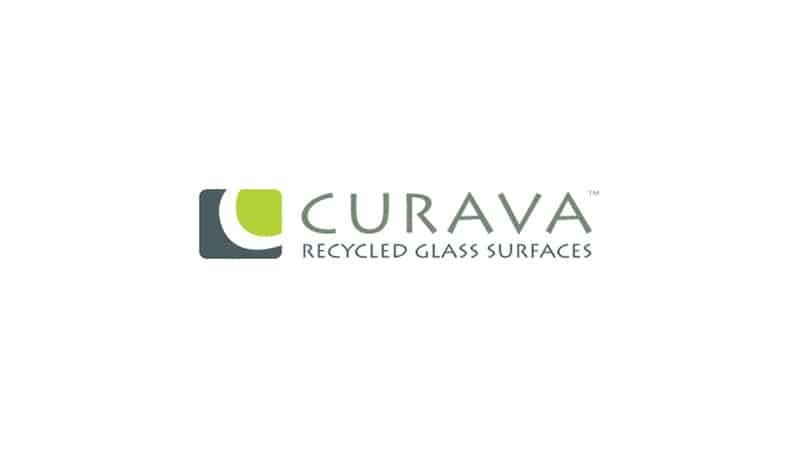 Curava was born as a result of the growing demand in the American market for countertop surfaces made from renewable and recycled materials. Our focus was to offer a product with even more recyclable materials and adding protective elements into the surfaces. EOS Surfaces is a company founded on the principal of innovation. 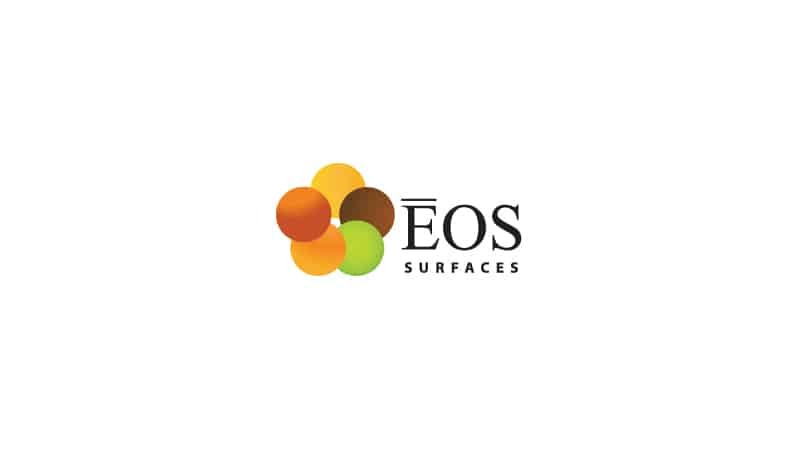 From the creation of the world’s first truly solid surface to the most functional recycled glass countertop available and now the revolutionary new Cupron protected EOS surface, EOS is always one step ahead. How is a Backsplash Eco-Friendly? Backsplash is generally composed of small tiles made out of a hard wearing material such as stone, ceramic or glass. Their purpose is purely esthetical and is the one thing in your remodeling that can wait indefinitely until you find exactly what you want. What makes our tiles Eco-friendly is the guaranteed from our manufacturers that their fabrication is as sustainable as possible; production, transportation and distribution. Some of our manufacturers also propose our customers with recycle content products to make it even more Eco-Friendly. The most common materials used for the production of backsplashes are glass and ceramic. The use of glass has been dated as early as 3500BC, since then its production has grown exponentially. Glass doesn’t biodegraded and this is because once we crush the earth minerals to turn them into glass they’re basically glass forever, and ultimately they finish polluting our landfills. Ceramic suffers from similar problems and we invite you to our “Product-Tile” section to know a little bit more about it. By buying a product containing recycle content you are helping considerably in the cleaning of our landfills. As mentioned above, backsplash is purely esthetical and isn’t need for the well-being of your space. However, backsplash brings that “je ne sais quoi” that makes a whole space look unique. When it comes to the creation of your backsplash the possibilities are endless in order to craft the most personal of designs; you can decide what material you want to use: glass, ceramic, stone, metal, etc. but you can also mix and match them. You can decide what geometrical form will best fit your space; from squares to rectangles to circles you have free will in creating that backsplash that would describe who you are! The fact that each material has its own characteristics makes the selection process even more interesting, since one material or the mix of several of them can complement beautifully with what you already have. For example, some recycle glass tiles have an iridescence color (that special color from soap bubbles) which is not found in any other type of tile. This can be use beautifully as an accent tile over an existing ceramic backsplash, or you can also blend it with stone tiles so to create a contrast between the two materials. This are just a few ideas out of a million offer by this world of colors and shapes! Modwalls’ aesthetic is modern and mid century inspired. What we’re really all about is designing cool and colorful tile, and making it available online for anyone to buy and enjoy in their own home or commercial space. Mirage has always been committed to carry out projects in line with sustainable building criteria. 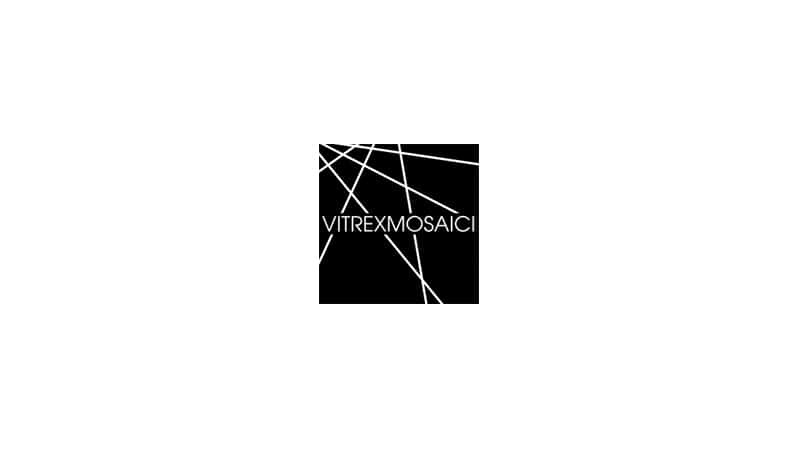 Vitrex Mosaici was established in January 2006 and is already acknowledged as one of the most prestigious suppliers to the architectural market. 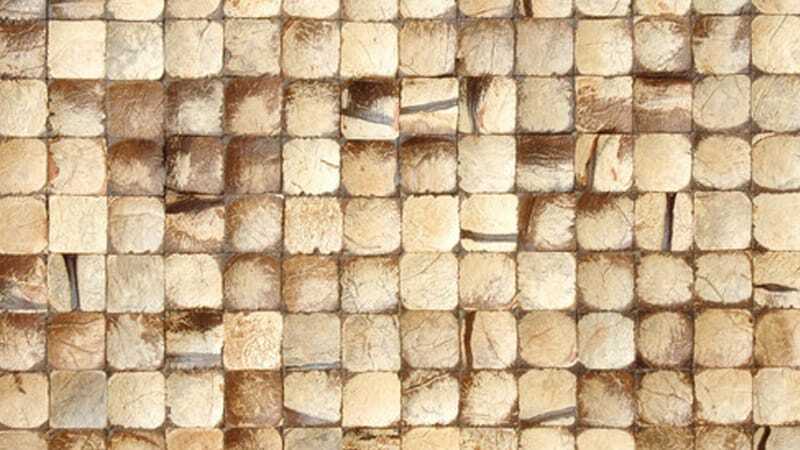 In addition to the traditional glass-mosaic range, Vitrex offers glamour-chic collections obtained by playing with the materials’ transparency and the preciousness of the tesserae. Mosaicos products include custom mosaics, glass tile, Talavera, natural stones and hand-painted tiles. We concentrate on exotic and exclusive products that have allowed us to set the new bar for standards when it comes to home and commercial design. 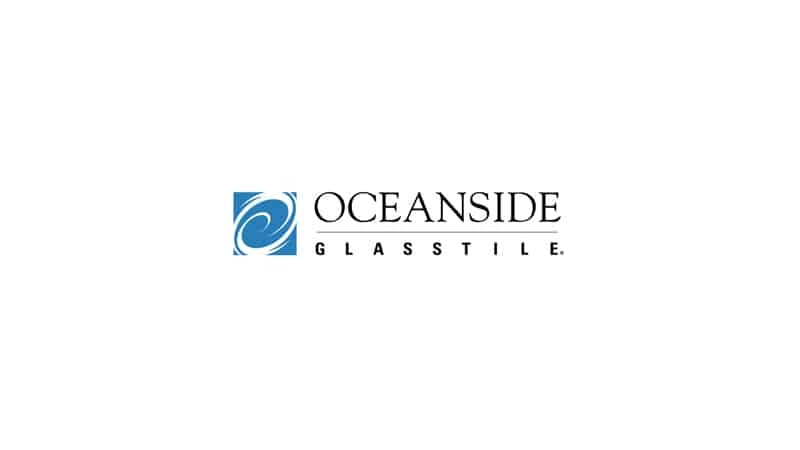 Oceanside Glasstile believes in going the extra step to ensure that you are completely delighted with your glass tile, which is why our service doesn’t end with your tile purchase. How are Coco Walls Eco-Friendly? Our coconuts covering are 100% real and their particular style will bring the beach life into your space. What makes our coconuts a sustainable material is their renewable aspect. These fruits are grown in yearly cycles, this means that every year there is a new harvest and a new load of coconuts can be used for eating and decorating purposes. A current procedure after the edible part of the fruit is consume is to throw the leftovers (the shells) all together and then to burn them down. This is incredibly harmful to the environment because each coconut shell has a moderate quantity of carbon dioxide gas sequestered in it and by burning the shells you are releasing this gas into the atmosphere. So, using the shells as covering is not only artistically beautiful but also very Eco-friendly. This natural material doesn’t release any off gassing in you indoor air, and the glues and adhesives use in the product have zero to very low amounts of VOC’s and formaldehyde. Your wall decoration is crucial in expressing not only who you are, but to create a specific mood in the given room. In the majority of cases people are led towards painting because of its easy application and the multitude of colors; however, painting can be so common that deciding to go with another material for your wall covering can bring that extra piquant that you are looking for. Coconuts are a great way to create a unique space by bringing some of the island world into your home. These coverings are essentially use for walls and furniture. They come in many shapes and colors, and are easily installed. 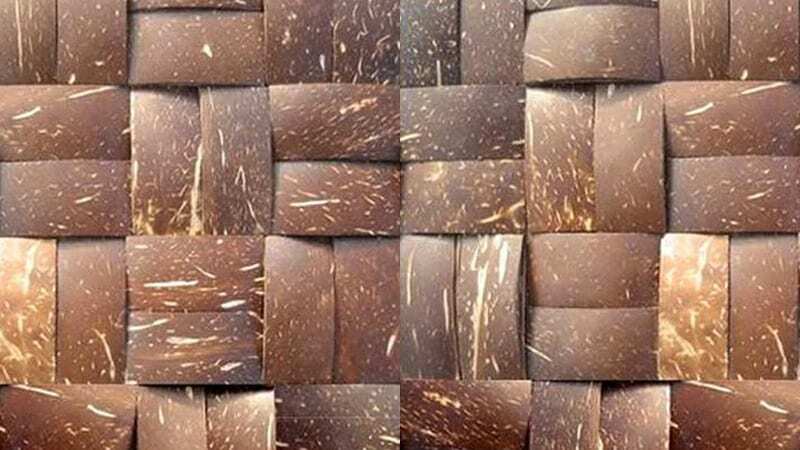 Their unique characteristics make them ideal for indoor purposes; however, it is not recommended to install this product in outdoor spaces because weather elements will wear off and damage the material over time. This product is also great for commercial spaces and is a favorite of hotels and restaurant. We invite you to see some of the samples below, but we suggest you to come to our showroom to have a better feel of the materials. 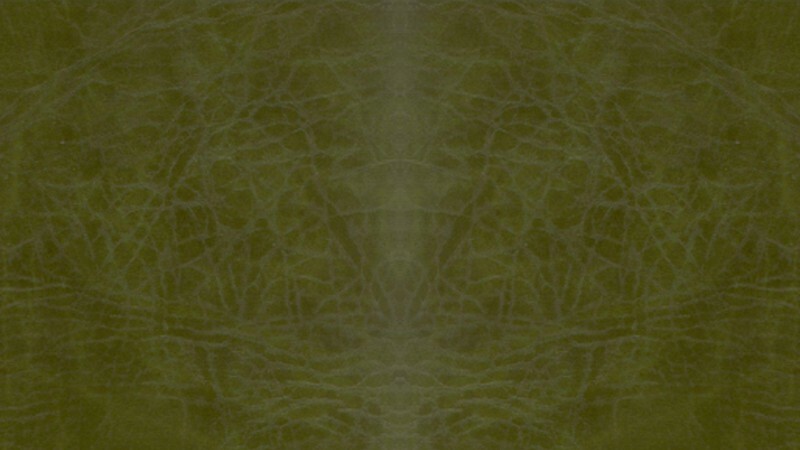 How is Eco Leather Eco-Friendly? 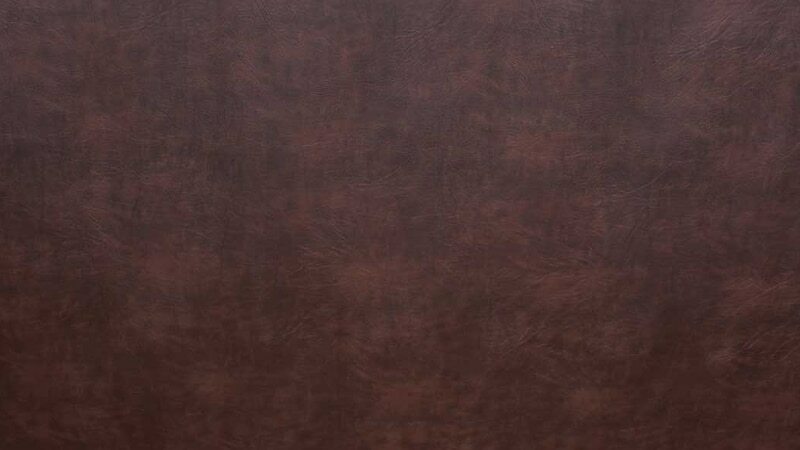 Most leather is not Eco-friendly at all; however, our recycled leather is a gem of ingenuity and design. 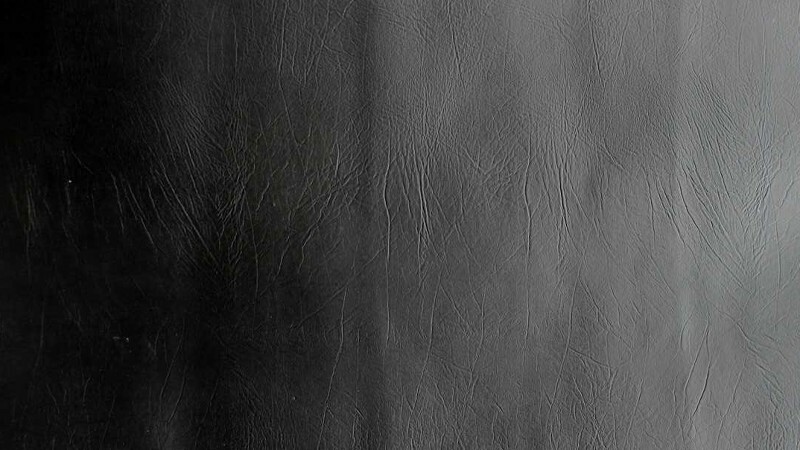 Our leather is recycled and comes from industry scraps and other byproducts; from belts to car seats to post-consumer hide, these recycled products would bring the BMW elegance into your space. The impact that the leather industry has into the environment is extremely toxic and harmful; it is around 20 times more toxic than creating a synthetic material. Also, since leather is an organic product it is meant to decompose. In order to interrupt this process and to make the leather last “forever”, companies use extremely toxic substances and products that are release during the manufacturing process into the air, water and land. Other companies have developed a way to re-purpose the unused leather and turn it into something not only useful but beautiful. We guaranteed that all of our leather is recycled and also that there would be zero to very low amounts of VOC’s and formaldehyde in the product as well as in its adhesives and glues. 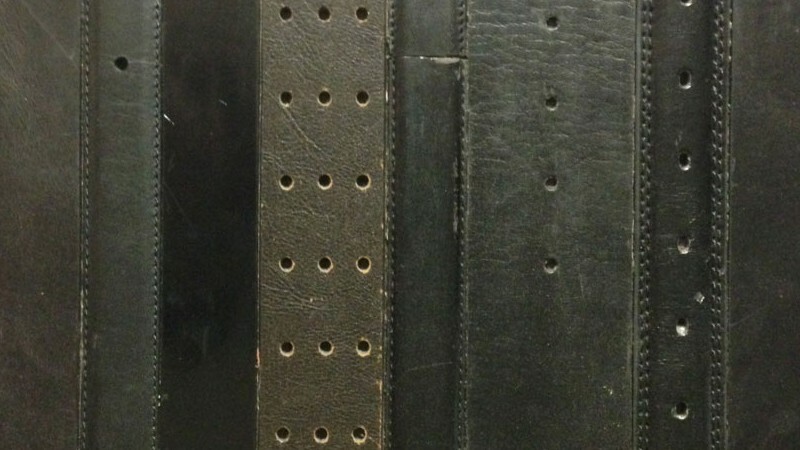 We have all kind of leather for any purpose and surface. 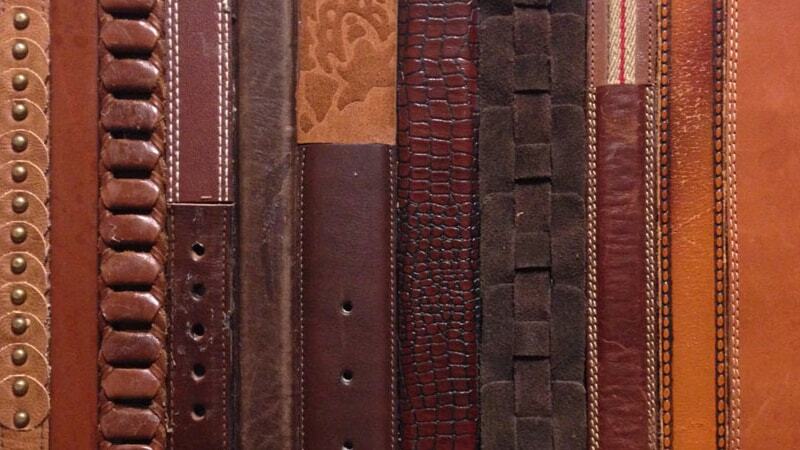 We have re-claimed belts that where once wore by an U.S. inhabitant and that are now re-purposed for wall decoration and other type of vertical surfaces; such as doors or desks. 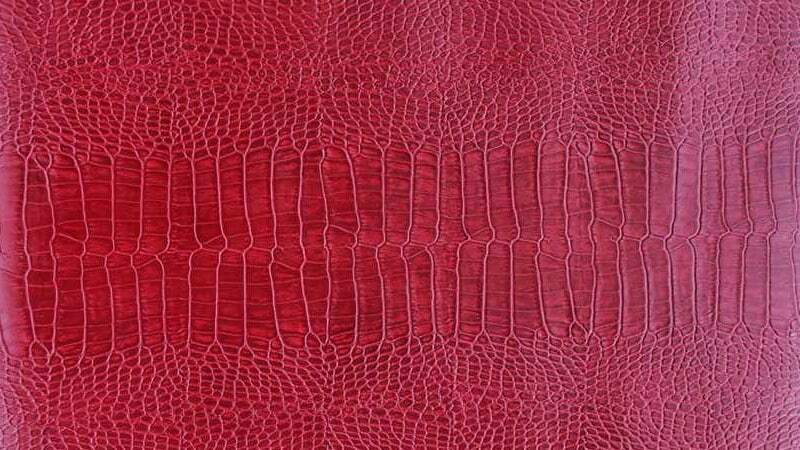 However, this particular style of re-purposed leather is very unique, which makes that not everybody would be charmed by it, and so we also propose more common and conventional leather coverings (such as the ones that you see on handbags or car seats). These coverings can be apply in almost any surface; floor, wall, ceiling, furniture, you name it, and the multitude of colors that we propose would certainly match any current or future project. Our leathers are great for commercial spaces and will bring that subtle touch of luxury that all commercial environments desired. They can be installed over walls, doors, furniture and almost any surface. While we do not recommend installing our leather tiles on high traffic commercial floor areas, it can be done if it’s a lighted traffic area and where the wear would be minimal. Find out what makes our company one of the leading eco-friendly re-modelers in the area, understand our process, and hear directly from our customers. © 2017 All Eco Design Center.